(1) On December 15, 2011, Technip issued an OCEANE bond for a total amount of €497.6 million. In accordance with IAS 32, the OCEANE is recognized in two distinct components: a debt component is recognized at the amortized cost for an initial amount of €420.4 million and a conversion option component is recognized in equity for €73.1 million. As of December 31, 2014, the debt component amounted to €465.3 million. On November 17, 2010, Technip issued an OCEANE bond for a total amount of €550 million. In accordance with IAS 32, the OCEANE is recognized in two distinct components: a debt component is recognized at the amortized cost for an initial amount of €480.9 million and a conversion option component is recognized in equity for €63.3 million. As of December 31, 2014, the debt component amounted to €535.6 million. On July 27, 2007, Global Industries issued a convertible debenture for a total amount of USD325 million (recorded for €251.2 million as of December 31, 2011). This bond came along with an annual interest rate of 2.75% and a maturity date of August 1, 2027. On January 11, 2012, Global Industries reimbursed a principal amount of USD322.6 million (corresponding to 99.3% of outstanding bonds) and paid USD3.9 million in interests to the bondholders. As of December 31, 2014, the remaining amount is recorded for €1.9 million. (2) On July 27, 2010, Technip achieved a private placement for €200 million (recorded for €198.3 million as of December 31, 2014). The maturity is 10 years; the annual coupon rate is 5.0%. On June 14, 2012, Technip achieved a private placement for €150 million (recorded for €149.8 million as of December 31, 2014). The maturity is 10 years; the annual coupon rate is 3.4%. On June 14, 2012, Technip achieved a private placement for €100 million (recorded for €95.4 million as of December 31, 2014). The maturity is 20 years; the annual coupon rate is 4.0%. On June 15, 2012, Technip achieved a private placement for €75 million (recorded for €74.9 million as of December 31, 2014). The maturity is 15 years; the annual coupon rate is 4.0%. On October 7, 2013, Technip achieved a private placement for €100 million (recorded for €96.2 million as of December 31, 2014). The maturity is 20 years; the annual coupon rate is 3.75%. On October 16, 2013, Technip achieved a private placement for €130 million (recorded for €128.8 million as of December 31, 2014). The maturity is 10 years; the annual coupon rate is 3.15%. 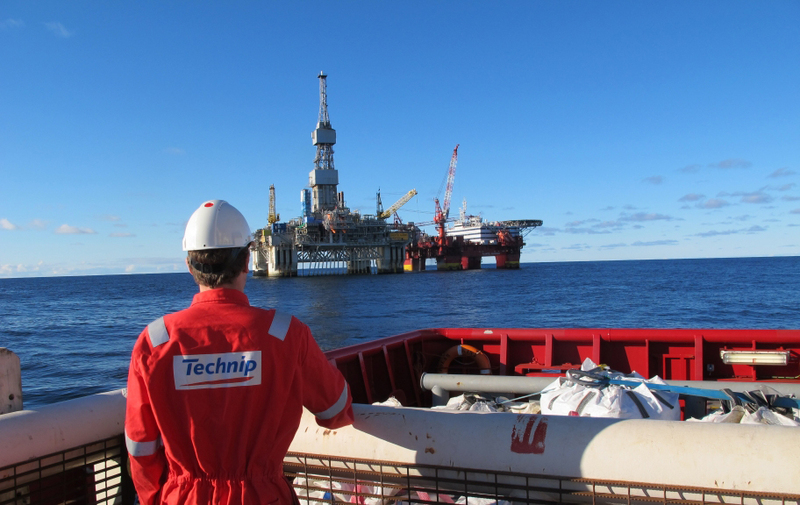 On October 18, 2013, Technip achieved a private placement for €125 million (recorded for €124.7 million as of December 31, 2014). The maturity is 10 years; the annual coupon rate is 3.15%. (3) Bank borrowings and credit facilities principally represent drawings on loans granted to one of the Brazilian subsidiaries for the purpose of pre-financing exports and re-financing investments. For further information about Technip's financial debt, please refer to our Reference Document available on www.technip.com.